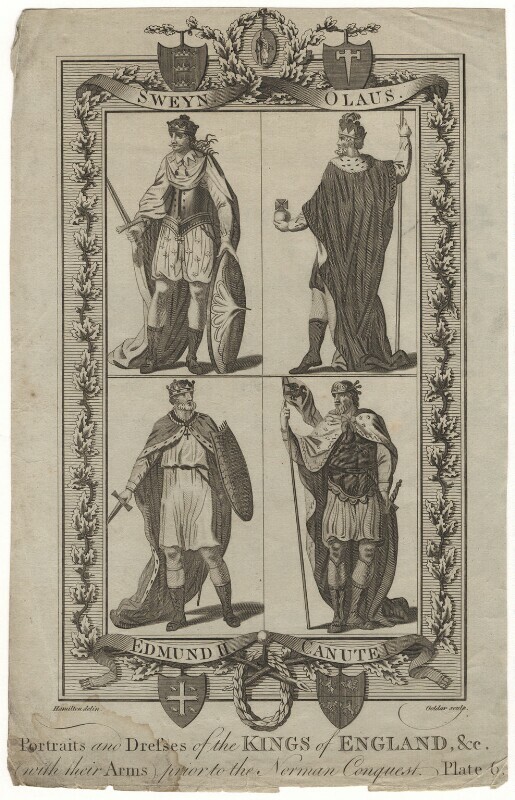 King Edmund II ('Edmund Ironside') (circa 989-1016), King of England. Sitter in 3 portraits. Olaus, King of Sweden (died 950), King of Sweden. Sitter in 1 portrait. Sweyn Forkbeard, King of Denmark, Norway and England (circa 960-1014), King of Denmark, Norway and England; father of Cnut the Great. Sitter in 3 portraits. John Goldar (1729-1795), Engraver and printseller. Artist associated with 45 portraits. Hamilton. Artist associated with 5 portraits.